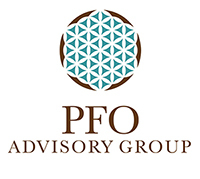 PFO Advisory Group – Providing strategies for organizations working with Latin America. PFO Advisory Group provides international policy, partnership + business development strategies, with a focus on Latin America. Pilar Frank O’Leary is Founder and President of PFO Advisory Group. She has over 20 years of experience working on international business and policy initiatives. She has worked at Fortune 100 corporations including Goldman Sachs, JPMorgan and Fannie Mae as well as serving as the director of the Smithsonian Latino Center. Pilar has advised leading organizations on Latin America and international partnership strategies including Facebook, Blackboard, The Coca-Cola Company, Edens, Enterprise Holdings, Outside GC, The US Chamber of Commerce, the International Women’s Media Foundation, the Howard G. Buffett Foundation, the National Geographic Society and Chavon School of Design (the Latin American affiliate of Parsons) among others. A Colombian-American born and raised in Washington DC who has lived and worked in Latin America and Europe, Pilar has a solid track record in developing and implementing strategic, high impact initiatives in diverse markets. Pilar is a graduate of Georgetown University (B.S., J.D.) and serves on a number of boards, maintaining a broad network of contacts in U.S. and Latin American diplomatic, business, and cultural sectors. In 2018, Pilar was awarded the Order of San Felipe Arcangel for her extraordinary service to Colombia. She is fluent in English, Spanish and French and proficient in Italian and Portuguese. Read Pilar’s Full Bio and References. Read Pilar’s Full Bio and References. Matthew Brady, Vice President for Daily Rental, Enterprise Holdings, Inc.